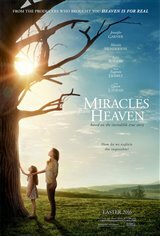 Amazing movie that has brought me closer to the Lord, and has made me repent and be ever more thankful for my healthy children. I continue to pray for children who are suffering, and may we be able to help them in any way we can. This movie helped bring up memories about my past I enjoyed this movie it shows how you need to keep hope and keep trust in god love the movie would defiantly recommend ?? Excellent, movie, great acting and casting - great impact! Emotional, moving, inspiring. For all ages. To the honor, praise, glory, and power of God Almighty! A true story! Excellent movie, was very inspirational. Would recommend to everyone! What a well acted and truly inspiring story. You may need some kleenex! It was really unforgettably wonderful. You will not regret going; it starts slowly and really impacts you in a very uplifting way! This is not your typical preachy "Christian" movie. Jennifer Garner and Queen Latifah bring solid acting chops, and the rest of the cast rises to the occasion. It really touches your heart, especially since it's based on a true story, but doesn't go overboard. Still, you'll need tissues. Good writing, good editing, good camera work - which means it also had a good director and producers who knew what they were doing. The only reason I'm not giving it 5 stars is because it's not quite Oscar-worthy. Almost, though. :) Would love to see more Christian movies done as well as this one. Very well done and the acting by Jennifer Garner and the actor who played Anna was exceptional. This was a tear jerker but I would see it again and plan to have it as a part of my collection. I am going to bring my grandchildren to see it. Miracles really do happen!! Real life makes great movies. Content superb, acting perfect, so right on with way Christians are being treated, this is one movie I will want in my collection. Great movie. I believe in miracles. The biggest miracle is that God choose to send His son to die for my sins and I will spend eternity in heaven. Thank you Jesus. This is beautiful faith based feel good movie!!! I would see it again!!! Great film about a family's wrestling with faith and doubt. What a great story of what it means to struggle with the big questions of life. Excellent! Thoroughly enjoyed the cast and story. Amazing true story of faith in the midst of troubles. Jennifer Garner deserves an award for her part. It turns out she was raised in a Christian home and rededicated her life to Jesus because of this film. God is so good. He desires every person to be saved. Went to see this film with my kids and my parents. Ages from 6-70 years old, We all LOVED it! A true story, good actors! Open your heart, even if you do not believe in miracles, you Will sure enjoy it! Really nice movie! Jennifer Garner is amazing. Kind of wondered why their church didn't do any fundraising to help family with medical expenses. Based on true life events, made this movie undeniably wonderful to witness the goodness of God at work in this families very difficult life threatening circumstances. Makes me love God more! I guess in you believe all this stuff about religion you might enjoy it. Frankly, I would prefer Spotlight ( sorry Catholics) or Religioness (spelling might be wrong) the Bill Marr documentary from a few years ago which give a more accurate view of religion. It captivated me from beginning to end. If that little girl doesn't win an Oscar then no actress deserves one. it is not worth seeing.. Exceptional, it has you on the edge of your seat from beginning to end. Very nice to see the actual people at the end. Loved it all. Amazing story, a real tear jerker, miracles are all around us. excellent movie...deepens our faith in God. Miracles are all around us, we just need eyes to see and faith in our God who loves us .